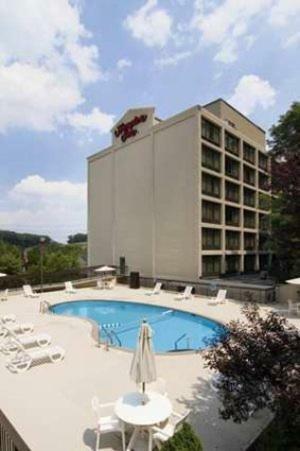 White Plains Featuring a restaurant, bar and an indoor pool, this hotel is located next to Westchester Mall. Free shuttle service is provided to Westchester County Airport. 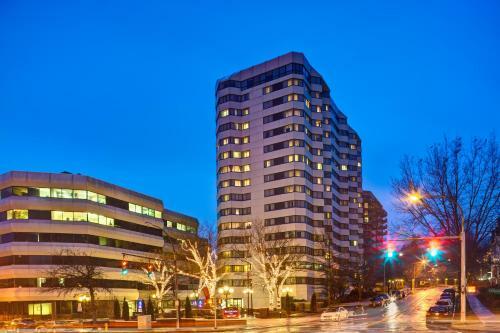 White Plains Situated in a residential area of White Plains and 40 minutes’ driving from New York City, this Westchester hotel has an indoor pool with whirlpool and rooms with free cable TV. Wi-Fi service is also available in rooms. 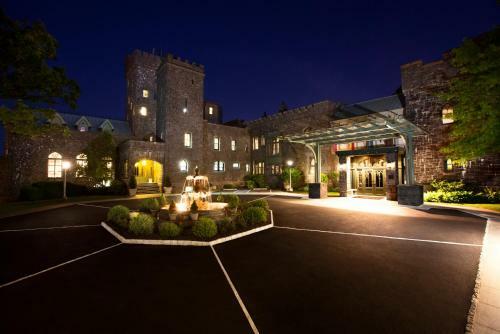 Tarrytown Westchester Marriott offers 3 restaurants, an indoor pool and diverse beauty treatments at the on-site spa. Free parking is offered and free Wi-Fi is available in public areas. White Plains is 5.5 miles away. 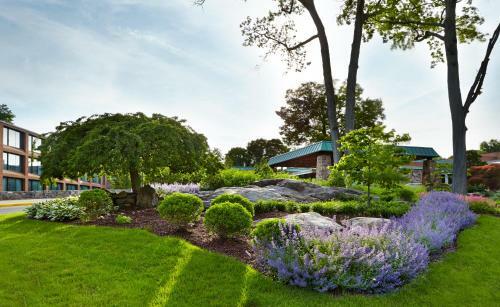 Rye Brook A 10-minute drive from White Plains, NY, this hotel is 12 minutes from Westchester Country Airport. It offers indoor and outdoor pools, a tennis court, and spa facilities. Orangeburg This Orangeburg Holiday Inn is just off the Palisades Interstate Parkway. It features an on-site restaurant and fitness center. A flat-screen TV and free Wi-Fi are available in every room at Holiday Inn Orangeburg-Rockland/Bergen County. White Plains This 4-star White Plains hotel is within 30 miles of New York City. The luxurious hotel offers a rooftop pool, full-service spa and 2 on-site restaurants. 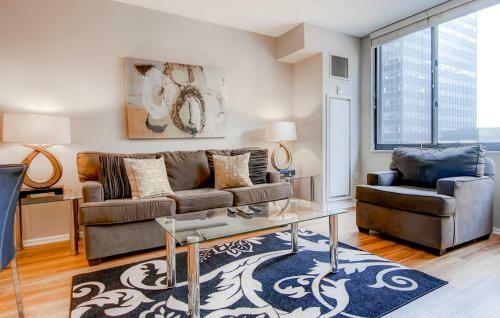 White Plains Featuring air conditioning, Luxury Apartments in the Heart of White Plains is located in White Plains, 5 km from Manhattanville College. Free WiFi is available . All units have a flat-screen TV. There is a seating and/or dining area in some units. White Plains This White Plains hotel features a gym and one-bedroom suites with fully equipped kitchens. Kykuit Rockefeller Estate Museum is 15 minutes' drive and Rye Playland Beach is 17 minutes' drive from this all-suite hotel. 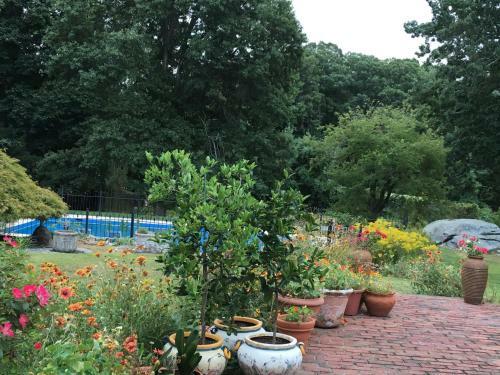 White Plains Located in White Plains, 5 km from Manhattanville College, Luxury Apartments blocks away from the Metro-North Station boasts an outdoor pool and barbecue. Free WiFi is featured . The accommodation has a flat-screen TV. 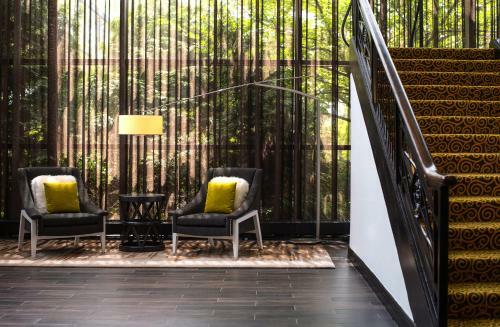 White Plains Featuring a seasonal outdoor pool and a spa, Hyatt House White Plains is located in White Plains, just 35 minutes’ drive from Midtown Manhattan. Free WiFi access is provided. A fully equipped kitchen is provided in each suite at the hotel. Harrison Featuring a seasonal outdoor pool, Spanish Mansion is a detached holiday home situated in Harrison in the New York State Region. The air-conditioned unit is 33 km from New York, and guests benefit from free WiFi and private parking available on site. 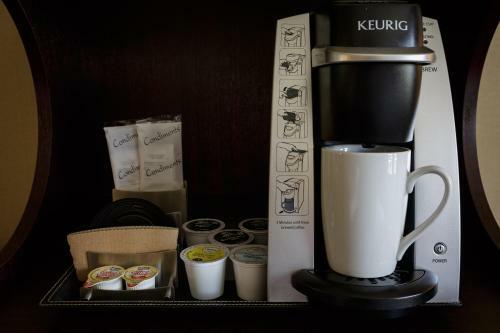 Elmsford A continental breakfast is offered at this Elmsford hotel. A fitness centre and indoor pool are available for guest use and rooms feature free Wi-Fi. Central Park is 30 minutes’ drive away. 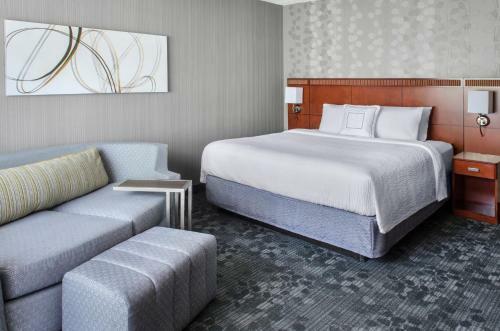 Elmsford Located within 3 miles of 3 golf clubs, the Extended Stay America is just a 5-minute drive from Sportime USA, an indoor entertainment centre. This hotel has an on-site fitness centre, laundry facilities and free parking. Elmsford Located just off I-87 and less than 5 miles from downtown White Plains, this Hampton Inn features a spacious outdoor pool and deck. Free Wi-Fi is available in all areas. Tarrytown This hotel offers daily buffet breakfast, a fitness center and rooms with a sofa bed. Free parking and free Wi-Fi is available. Westchester Mall is 6.4 miles away. 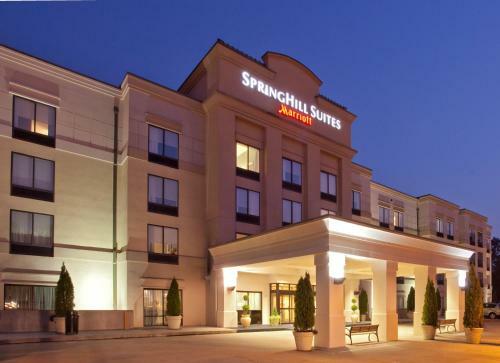 Springhill Suites Tarrytown offers rooms with luxurious bedding and furniture. 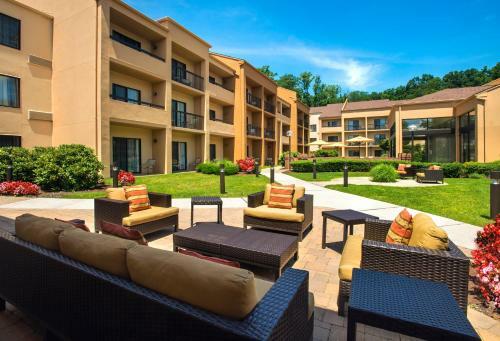 Tarrytown Courtyard Tarrytown Greenburgh, located 2 miles from Sleepy Hollow, features a heated indoor pool. Rooms offer free Wi-Fi and cable TV with HBO, pay-per-view movies and video games. Tarrytown This historic Tarrytown hotel boasts views of the Hudson River, a 5-star restaurant, full-service spa and an outdoor pool complex with a hot tub. Kykuit, the estate of John D. Rockefeller, is 3 miles away. Rye This hotel is located less than 3 miles from the Rye Playland Amusement Park. It features an indoor swimming pool and a gym offering fitness classes. Free Wi-Fi is available. Tarrytown This Tarrytown hotel offers an indoor swimming pool, modern gym and a stylish restaurant. Each guest room is equipped with a flat-screen TV and free wireless internet access. New York City is 25 minutes away. 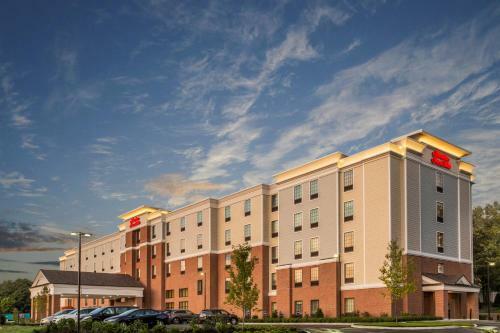 Yonkers Featuring free WiFi throughout the property, Hampton Inn & Suites Yonkers - Westchester offers accommodation in Yonkers, 1.4 km from Legoland Discovery Center Westchester. The rooms are fitted with a flat-screen TV.